The tourist complex "Bike" is located in Kosovo, Ivano-Frankivsk region. The hotel has all the necessary conditions for a comfortable stay, as well as business meetings (conferences, seminars, trainings). 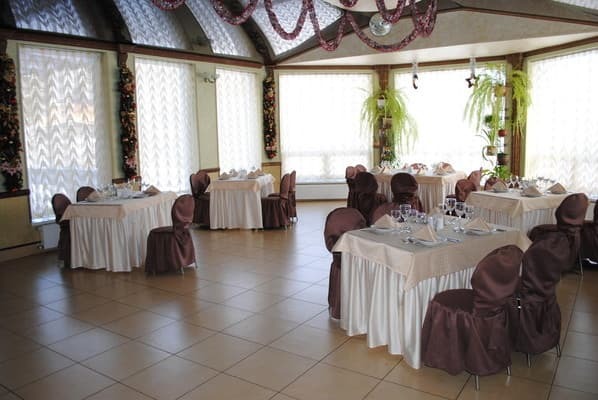 The hotel can provide modern technical support, Internet connection, conference hall with 60 seats. 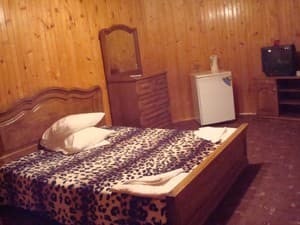 Hotel services include a sauna with a swimming pool, an indoor swimming pool, a gym, billiards, a tennis court, a pond for fishing enthusiasts, and a children's playground. 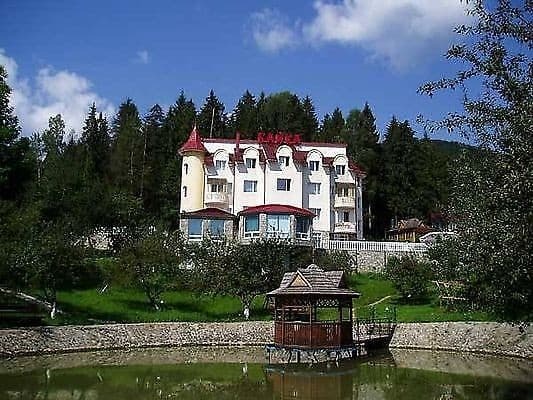 In the restaurant of the tourist complex "Baika", the chefs offer dishes of European and Ukrainian national cuisine (including Hutsul). The ski lift on the mountain Mikhalkov in g.Kosov 2 km. 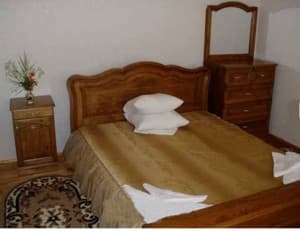 Description of the room: One room is decorated in European style, equipped with furniture from natural wood (solid oak), in the room there is a full bathroom. 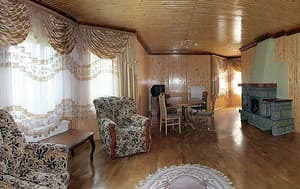 Description of the room: The two-room suite is decorated in European style, equipped with furniture from natural wood (solid oak). A bathroom in the room. Description of the room: On the first floor there is a living room with TV, a bathroom (WC, washbasin), a pantry. 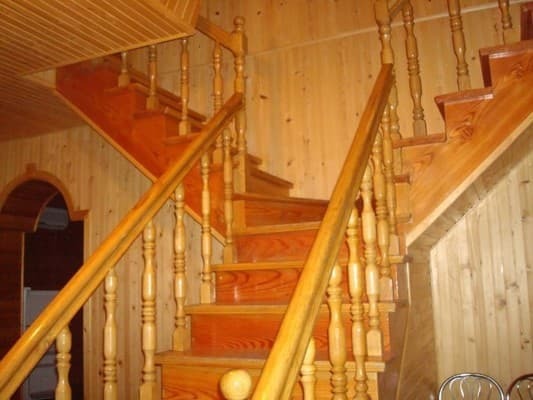 On the second floor - a bedroom (double bed, TV), bathroom (bath, toilet, washbasin). 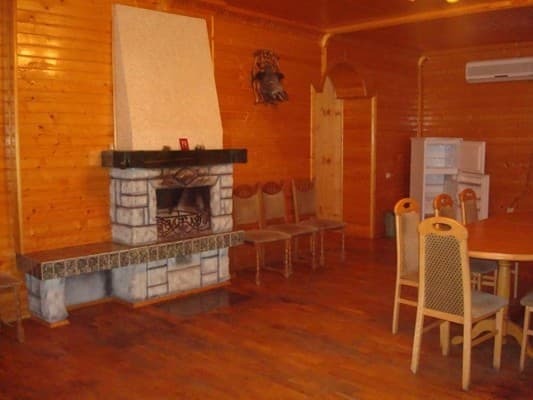 Description of the room: On the ground floor there is a living room (TV, soft corner, fireplace, refrigerator, air conditioning) and 2 rooms, on the second floor there are 2 rooms (double or 2 single beds, TV, electric kettle, shower, toilet, washbasin), shared terrace. Children under 12 years old without extra bed are free of charge. Extra beds are available for an extra charge. There is a restaurant of European and Ukrainian national cuisine. 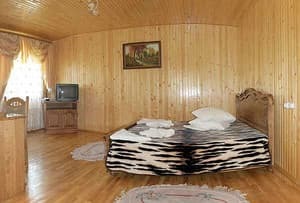 On the outskirts of Kosov, Ivano-Frankivsk region at a distance of 3 km from the bus station. To the ski lift on the mountain Mikhalkov in the city of Kosov 2 km (length 1000 m). It has 3 slopes 1500m, 700m and 800m. There are also lifts in: with. Yavoriv - 10 km and in with. Sheshory - 12km. To the regional center of the city of Ivano-Frankivsk by plane, train or bus, from Ivano-Frankivsk to the city of Kosovo by shuttle or bus, from the city bus station to the recreation center "Bike" taxi.